Do you ever feel like you are constantly checking to see who has turned in work, who is still missing work, or who the no-name paper belongs to? 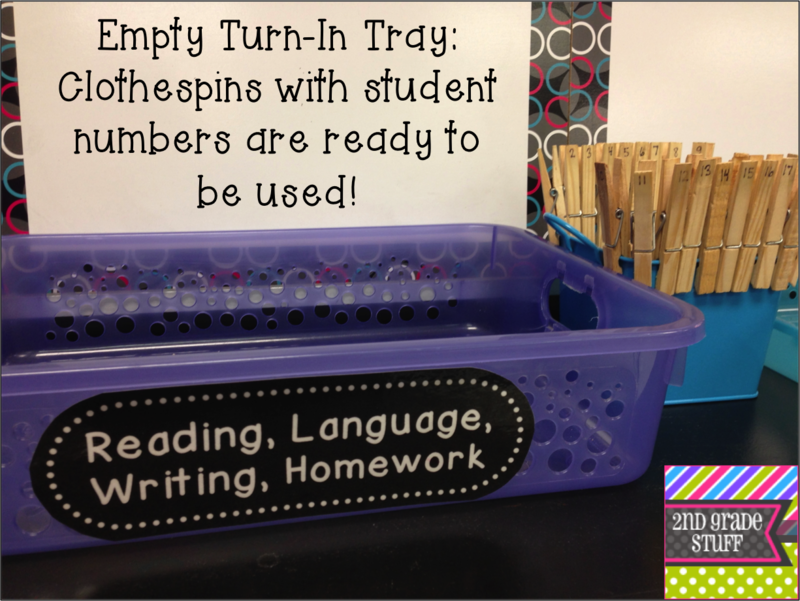 As a teacher, I think we all find ourselves dealing with the Turn-In Tray Mess! I came up with an easy solution that saves me time and best of all, it's cheap and easy! If you love this idea, please pick your favorite picture to PIN and spread the Bright Idea! Love this idea Jamie! Thanks so much for the great idea!!! What a fantastic idea!! Thanks for sharing. Even more...I LOVE this idea hop!! Great way for teachers to share. I am LOVIN this IDEA... you are only my 3rd stop and I have found 3 GREAT IDEAS... I am going to use this idea starting TOMORROW!!!! thanks so much!!! Love this idea!!!! I updated my post to introduce it more specifically. You da bomb, girl! I love this, Jamie! 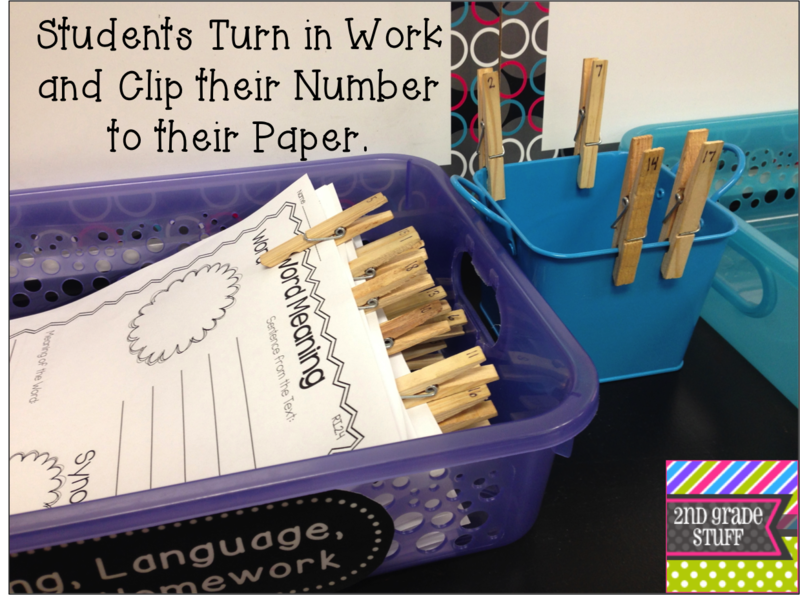 What a time saver and such a great way to keep my kiddos accountable! (Your room is SUPER cute, too :0) ! Awesome idea! I know I've got some clothespins laying around! LOVEEEE this idea!! totally setting this up next week! I might scream if I have to ask jimmy and timmy one more time "did you turn in your writing?!?". Now, I'll know!! <3 I'm such a big fan of your products, so I'm definitely not surprised with home much I love this idea! THANK YOU! I have to ask... where did you get those adorable "turn-in trays" from? Love! I am totally in love with this idea! It is brilliant. 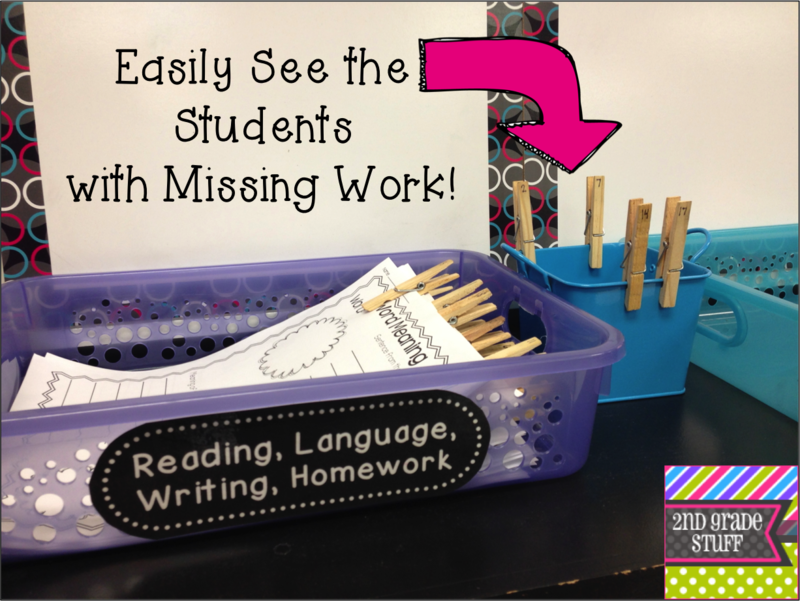 This will make holding students accountable for their classwork, SO much easier. Thanks so much. I'm a big fan of clothespins, and this is another great idea to use with them! Love it, Jamie!! Thank you so much for sharing!! Love this idea! Such a quick way to check if students have turned in their work! So great! quick question...what if students need to hand in multiple things..especially for one subject area? What a great idea, or should I say Bright Idea! Mahalo for the tip. I will be doing this immediately!! Thank you! Definitely will be starting this tomorrow! This will save me at least 5-10 minutes every morning! Thank you! Wish I had done this when I taught second! Awesome way to make sure they are all turning their work in. What a fantastic idea. I already have given students numbers and have them write it beside their name on everything, but this would make organization even easier.